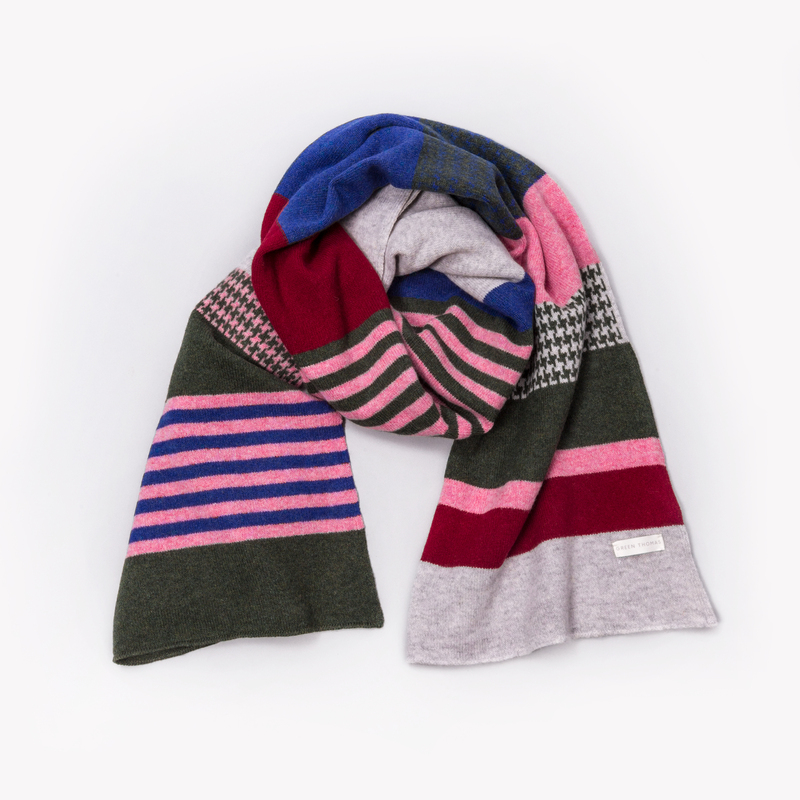 Green Thomas were invited by Local Heroes to respond to two specially created palettes which they translated into one of their signature knits using bold blocks of colour mixed with micro patterns. 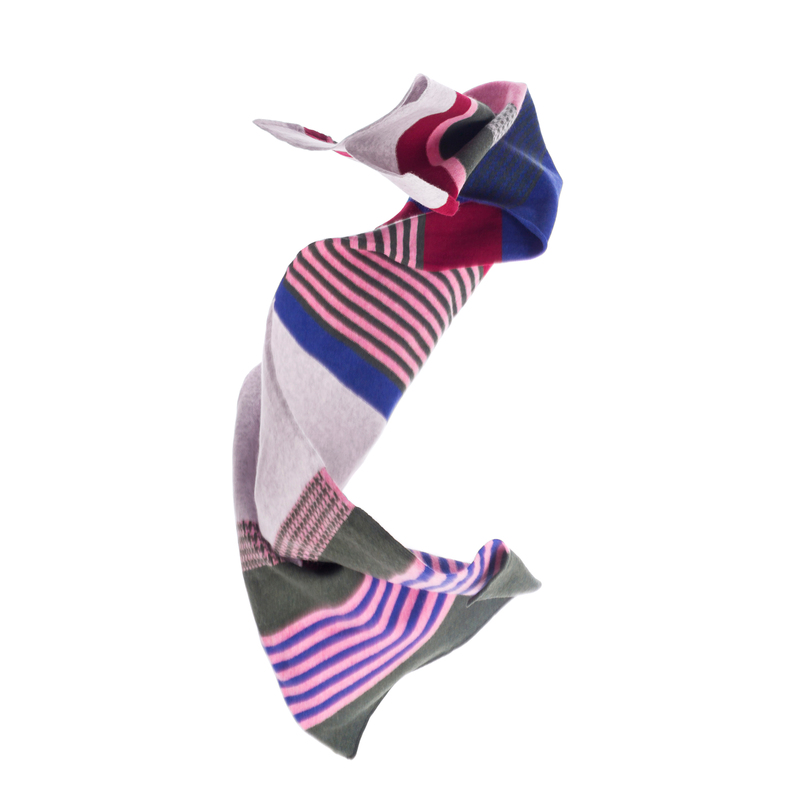 The LOCAL scarf combines khaki, red, pink, blue and grey while HERO combines an electric range of summer blues, flame orange and mustard. 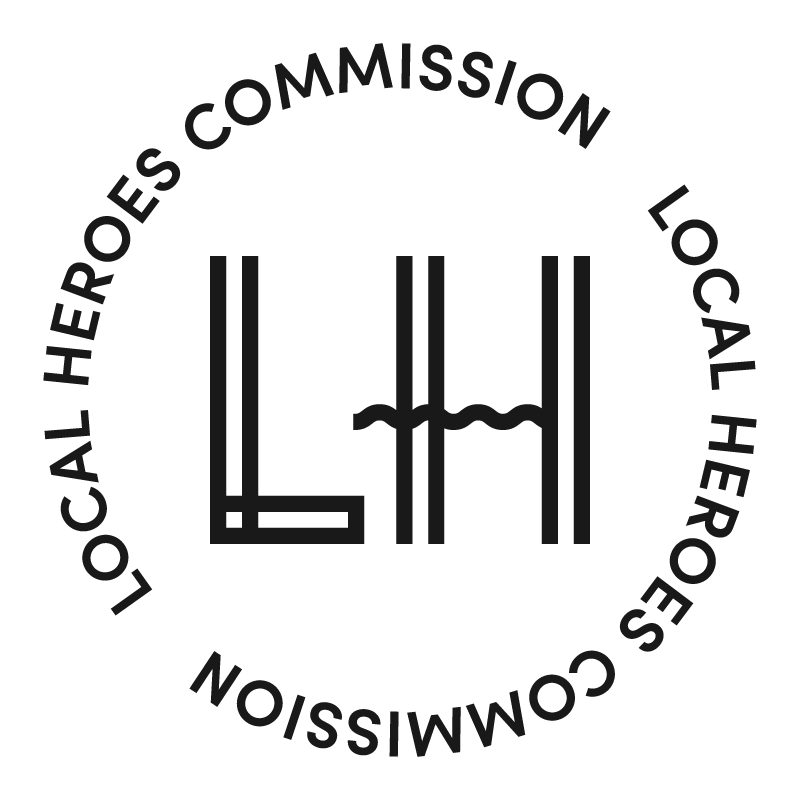 “The Local Heroes commission allowed us to explore our love of colour. We wanted the two new colourways to have a unique mix of contemporary shades that combine to create something new and fresh.” Working with their trusted factory in the Scottish borders the duo have created a large, luxury size scarf, large enough to wrap around and around, travel with or drape over your favourite chair. 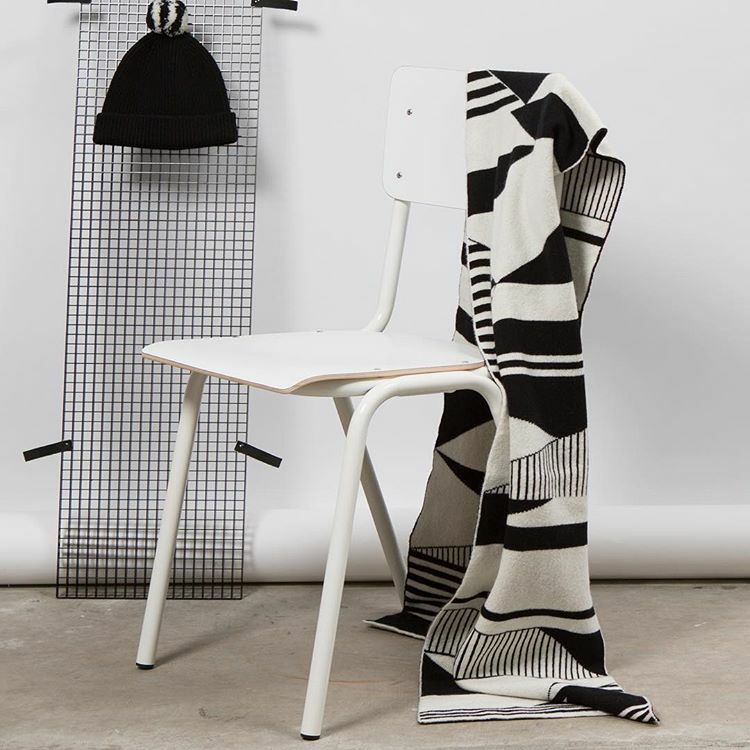 Green Thomas are design duo Emma Green and Alan Thomas Dibble. Graduates of the prestigious Central Saint Martins in London, both have worked with global brands and retailers designing knitwear. 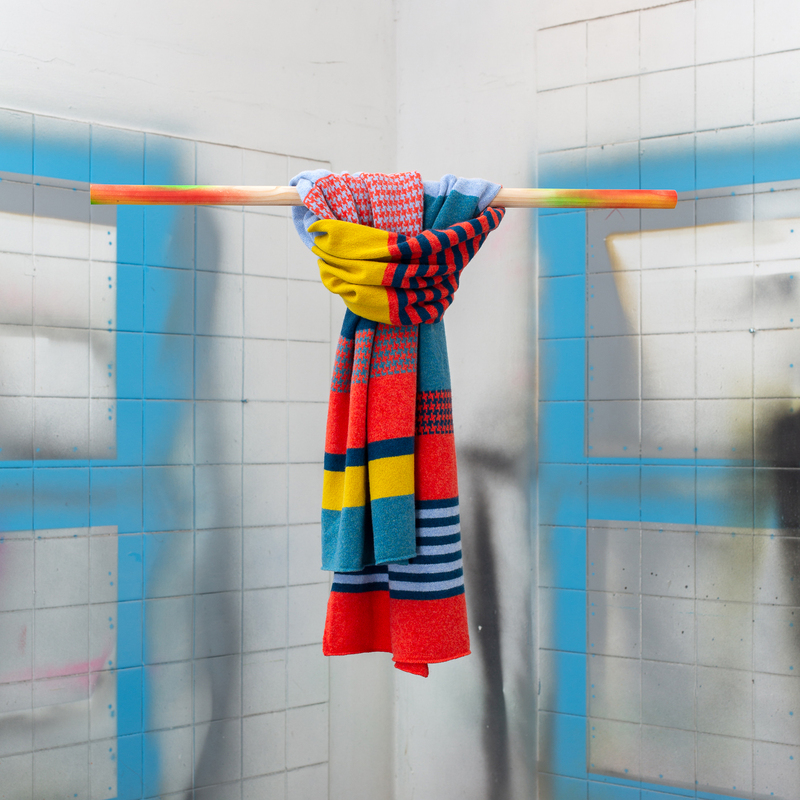 From their studio in Glasgow, Green Thomas launched in 2015 designing contemporary knitwear and accessories. All are made in Scotland which is world renowned for the quality of its product. 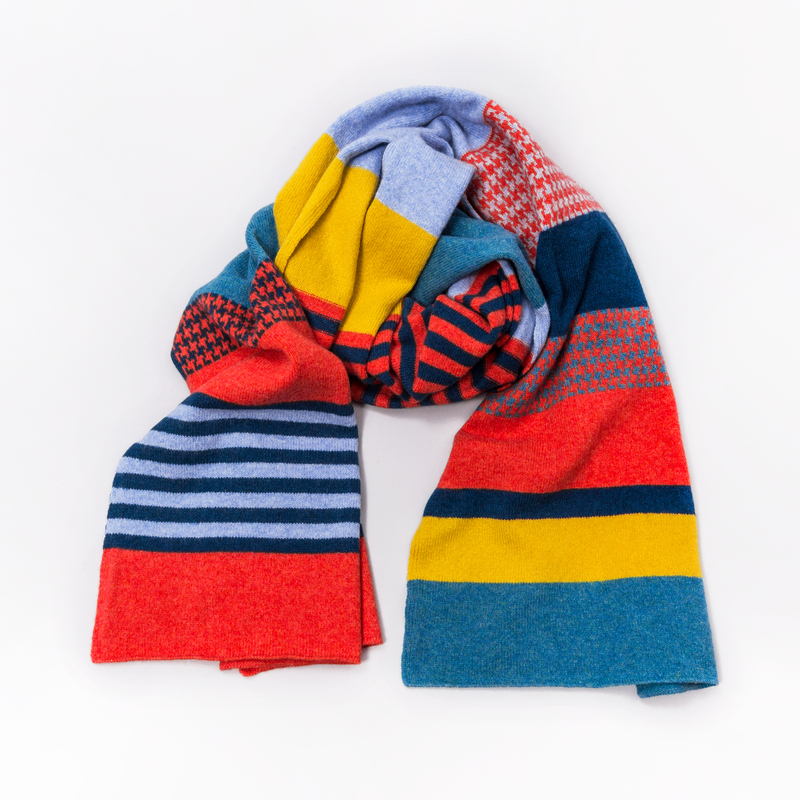 “Each piece embodies the spirit of the maker, showcasing their passion, knowledge and talent.” The duo combine their love of pattern and colour with a passion for knitting in Scotland. 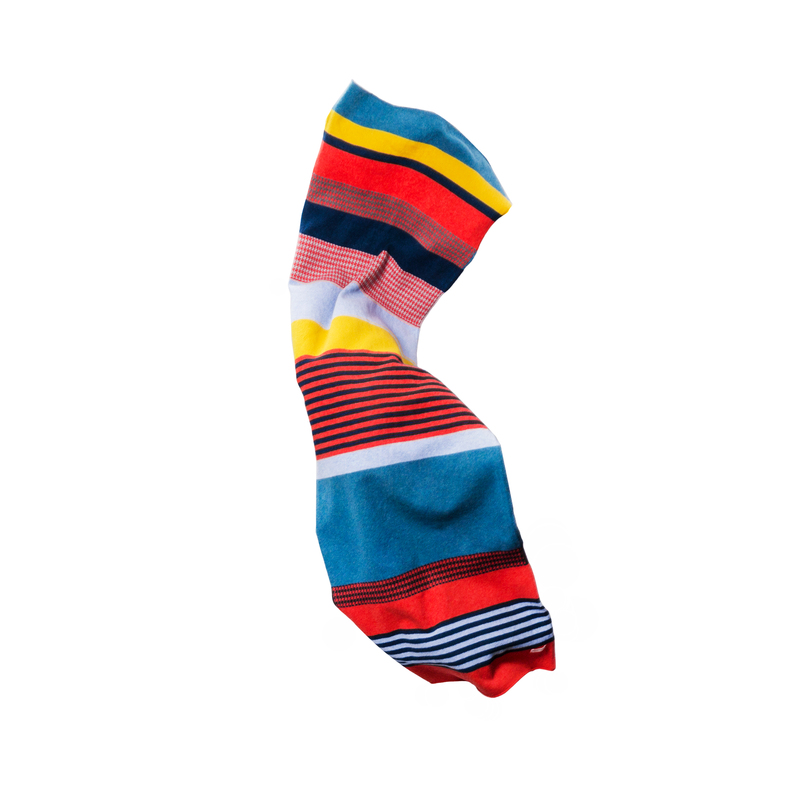 Their range is stocked in premium department stores and exclusive boutiques in the UK, Europe, Japan and the USA.